US environmental regulators are under increasing pressure over a controversial pesticide known for laying waste to nearby crops as well as the harmful weeds it is meant to control. Critics worried about the harm are calling for increased restrictions, following the example of many states, while producers and some farmers want fewer obstacles to use of a chemical they view as one of their last options. Much like Roundup, another much-criticized herbicide marketed by Monsanto, dicamba has been on the market a long time. But use of the chemical has jumped since Monsanto—which was bought by Germany's Bayer in June—introduced seeds that can resist the weed-killer. 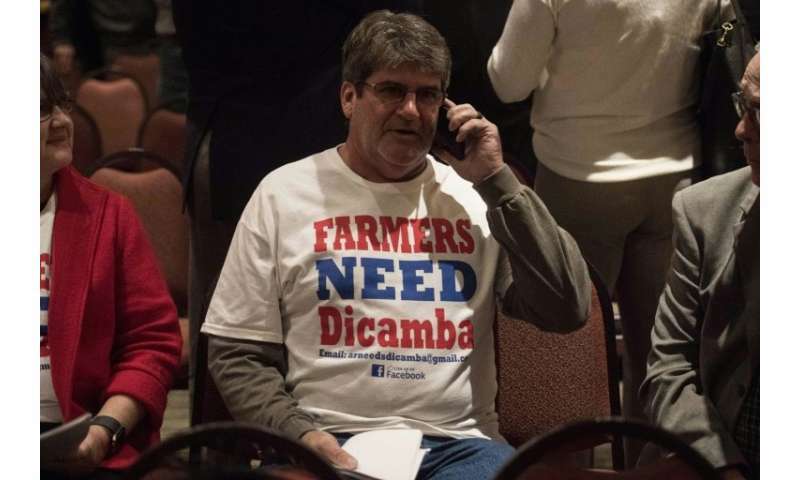 Dicamba has been a boon for farmers at a time when they have seen other leading herbicides lose their effectiveness and the battle against damaging weeds. Use of seeds resistant to dicamba doubled over the last year, reaching 20 million hectares (50 million acres) this summer. But the product has been blamed for polluting around four percent of US soybean fields in 2017. A common complaint is that the herbicide is volatile, meaning it spreads to nearby areas. It is only meant for use during the growing season for plants resistant to the chemical, and the US Environmental Protection Agency last year received reports of "significant crop damage from off-field movement of dicamba." 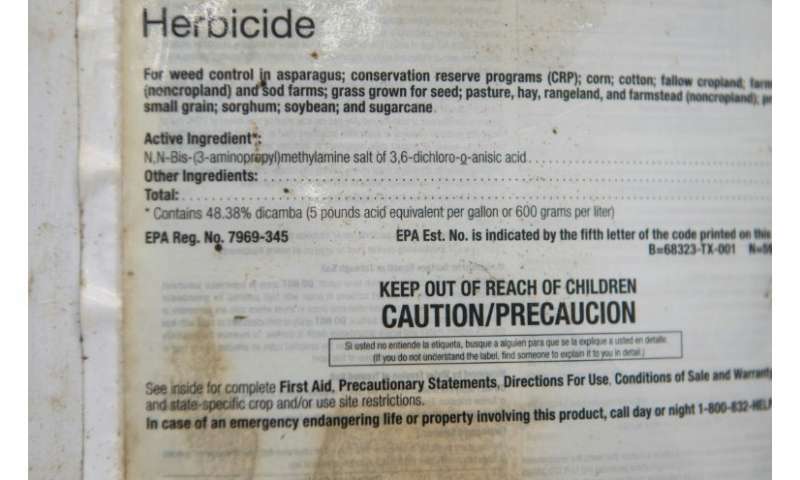 The EPA authorized use of the weed-killer for two years, through November, so it will soon need to announce any changes to the rules on when and how it can be used. While total reports of contamination have fallen, they have declined sharply in states that imposed tough regulations on the pesticide, while increasing in states that have not, such as Illinois and Missouri, according to the Association of American Pesticide Control Officials. As of mid-August, there were 13 complaints per million acres of seed used, compared with 99 in 2017, according to Monsanto. The association has called on the EPA to set a deadline during the planting season for spraying with new versions of dicamba, Bayer's Xtendimax, DowDuPont's FeXapan and BASF's Engenia. Those updated formulations are said to be less volatile. Beck's, a large seed distributor in the United States, has demanded that dicamba only be permitted in the pre-planting phase, saying that the controversy surrounding the herbicide could harm the image of farmers. The subject is also sensitive with rank-and-file growers. Use of dicamba has divided farmers in the state of Arkansas, leading officials to bar use of the herbicide after April 15. Perry Galloway, a farmer in Woodruff County, regrets the restriction. His crops have been plagued by problems with pigweed. "Because of the weather patterns, some of the more traditional herbicides perform even less than they did in the past several years," Galloway said. "Ultimately, this is the only technology we have that works, and we have so many pigweeds." But Richard Coy, a farmer and beekeeper in Eastern Arkansas, said dicamba has ravaged Redvine, which is critical for honey bees. He estimated that about 70 percent of the plant has died because of dicamba, and honey production is down 40 to 50 percent in areas where the chemical was used. "As a beekeeper I depend on the Redvine growing on the trees, on the edges of the woods," Coy said. "If the situation in Arkansas does not change, we will be forced to stop honey production in the state." 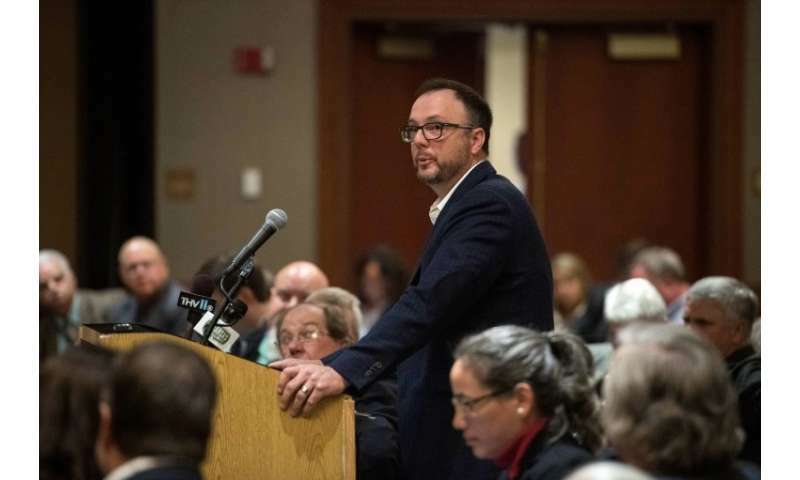 And even in areas where there are deadlines for its use, dicamba has been used beyond the timeframe, a violation of state regulations, according to Jason Norsworthy, a researcher at the University of Arkansas. About 1,600 hectares of soybeans in the state have been damaged by the herbicide in 2018, compared with 3,600 hectares last year. Bayer currently faces 37 lawsuits over crop damage by dicamba involving 181 plaintiffs from around the United States. The fight over dicamba come in the wake of the case in which Bayer was ordered by a California jury to pay $290 million for failing to warn a dying groundskeeper that its weed killer Roundup might cause cancer. Bayer has argued that dicamba is safe for crops as long as users follow the rules, pointing to company-developed studies that back its stance. But Norsworthy disagrees, saying "we continue to see in our research that volatility is a component of the issue we've seen." Marcia Ishii-Eiteman of the nonprofit Pesticide Action Network, lambasted the company, saying "Monsanto is winning across the board." "They are able to sell more seeds and to sell dicamba pesticides. And farmers are the ones paying for the cost," she said. "Not counting the cost to the ecosystem." The EPA said it has been hearing from all sides and that "our goal is to make a decision in time for growers to make informed seed purchase decisions for the next planting season."